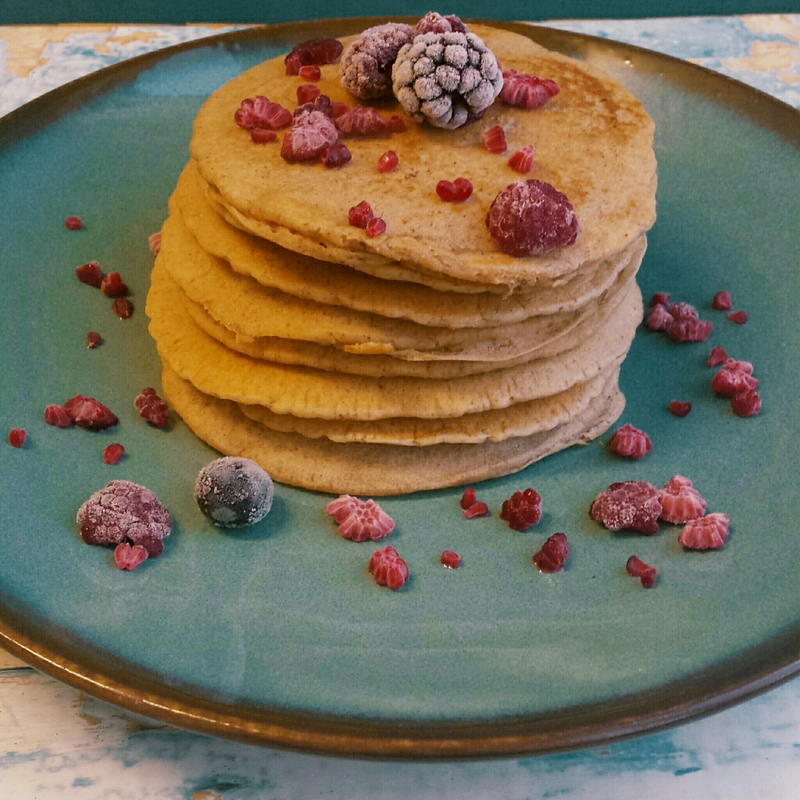 I have been trying different recipes for vegan pancakes for a long time and non have done the cut so far until I made this one! I usually make my oat-banana pancakes anf I always get asked substitutes for either the banana or the egg. Here is a recipe wich contain none of them! I hope you like as much as me and I boys did. This recipe is ideal to make them as crepes as well if you make them thinner! Also they aren’t very sweet, they have a very special nutty flavor, that they don’t need much sugar. However, if you want them more sweet just add more sugar to the recipe. Have in mind that you will add some syrup when serving, so this will make them more sweet. Simply blend, and cook as conventional pancakes. I use a frying pan and some frylight spray and cook for a few minutes each side!